The p4ges institutional team is coordinated by the Département des Eaux et Forêts de Ecole Supérieures des Sciences Agronomiques(ESSA), University of Antananarivo, in collaboration with the University of Southampton, UK. We aim to understand how different institutional structures determine the uses and the management of ecosystem services flows and how they may be affected by payments for ecosystem services. To achieve this, we are carrying out key informant interviews and focus groups on different topics at local, regional and national level. In May and June we carried out fieldwork at two sites in eastern CAZ: Sahavazina fokontany (Antenina commune) and Amporoforo fokontany (Amporoforo commune). How did we reach our study site? For this trip we joined the p4ges economic team who were going to work at the same site. On the first day, we travelled by vehicle from Tana to Toamasina, a trip of about seven hours on reasonably good roads. On the second day, we left Toamasina early in the morning hoping to reach Miarinarivo by evening. We made good progress at first, reaching Vavatenina in three hours, but from here the road became very difficult. Because of frequent winter showers, the road was slippery and mud held back the vehicle and the car even had to cross a river. In this way our last 20-30km took a full five hours! On the third day, we walked about six hours to reach Antenina commune. This included an adventurous crossing of the Onibe river which was over 1 meter deep in some places. We stayed in Antenina to take a rest and paid a courtesy visit to the deputy mayor. The following day we walked another 2.5 hours from Antenina to Sahavazina fokontany. Although a shorter walk, this was no less tricky with much of it in rivers with slippery stones and a lot of tiring climbing up and down hills. After this long tour, we were met by a welcoming local community who were wondering what we were we doing there. After ten days in Sahavazina village we walked another 6.5 (hilly) hours till to Amporoforo village. On arrival in Sahavazina, we talked with the president of the fokontany to introduce ourselves and the project, explain our work and obtain advice on how best to organize our interview sessions to respect the availability of the residents. We also engaged a local guide to help us organize our focus groups and identify the key persons we needed for each of our discussion topics, based on criteria we had previously defined. In general we aimed to have groups of five to six persons at most to allow for a manageable discussion in which all participants had a chance to express their views. We began each focus group and key informant interview by introducing the project and specifically explaining the work of the institutions team. We then gave participants time to ask questions before requesting their consent to use a voice recorder and camera during our discussion. This is a crucial issue as all p4ges teams follow a well-defined ethical procedure which requires us to obtain informed consent for any interviews and photos. Our focus group sessions covered a number of different topics, including the history of the settlement, the different socio-cultural groups and livelihood activities, the local land use system, ecosystem services obtained from different land uses, value chains for natural resource products, and natural resource-related institutions. 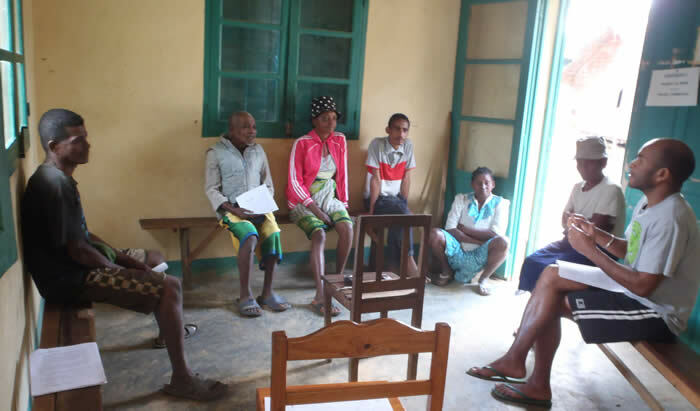 As this site had a community forest association (VOI), we organized a focus group with VOI members and VOI bureau members. We also did a focus group with only women to get an idea of their involvement in decision-making about natural resources. Our key informant interviews were designed to obtain general information and clarifications on specific issues and included the president of the fokontany, the deputy mayor, our local guide and some VOI members. To round off our work we undertook two transect walks through the different land use systems in the area to allow for information obtained in interview sessions to be triangulated and checked on the ground. In Amporoforo village, our group and individual interviews focused on three main topics namely the history of the settlement, the local land use system and value chains for natural resource products. We added to and triangulated our data through a key informant interview with the local authorities. Between sessions, we began the write-up of each interview and discussed the information gathered and any missing data we still needed to collect. 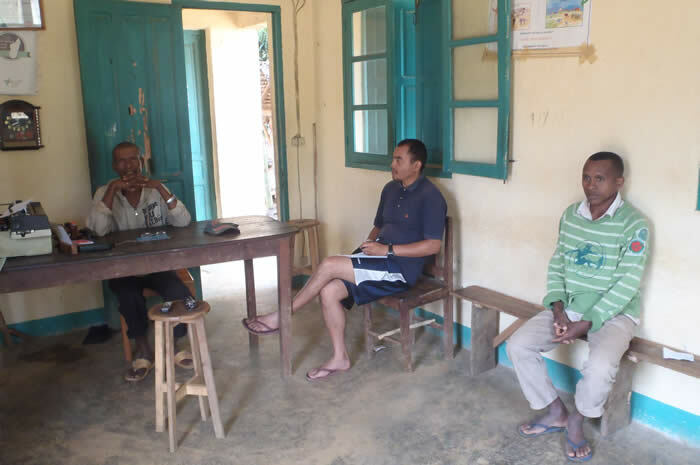 In the evenings we made a plan for the next day and explained it to our local guide so that he could contact the participants for the planned focus groups. During our stay in Sahavazina and Amporoforo, we had an opportunity to learn more about the local community’s way of life and how their livelihood strategies are constrained by the natural capital available and changing state policies on resource management. We were able to see how hard they struggled to ensure their subsistence. Although we can’t claim to have an exhaustive understanding of the socio institutional dynamics of the local community, our interviews gave us a fairly good picture of how different natural resource-related decisions are taken. At the same time, residents – even those not participating in our sessions – asked us many questions about our work. 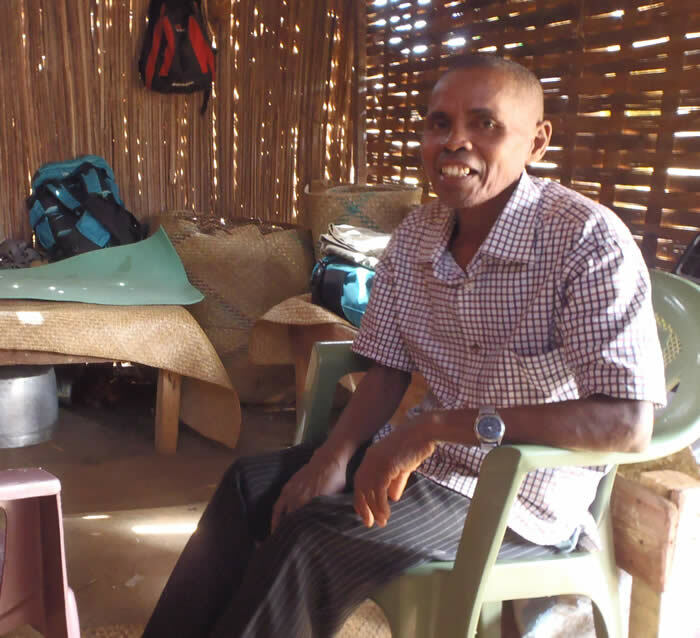 They hoped for a fruitful outcome to our research and that it might eventually provide information that could in some way lead to improvements in their livelihoods. We have a commitment to return to the communities to share our results later in the project. We had a great time in the field. All the local guides and focus group participants were very collaborative giving rise to a rich body of data. We felt a good sensation that getting this crucial social data made the difficult journey to reach the villages and the long separation from our families worthwhile. Now we are looking forward to achieving the write-up and then starting the analysis of all the data collected so far as well as some further targeted field work. We are thankful to the local state representatives working in the commune and fokontany as well as in Sahavazina and Amporoforo, our local guides, key informants and, last not least, all participants in different discussion groups for their collaboration. They were an essential partner for us to achieve our aim during this fieldwork.